Fortnite creator Epic Games has filed a lawsuit against a popular YouTuber who is accused of using and selling cheating programs. TorrentFreak reported that Epic Games filed the lawsuit against YouTuber Brandon “Golden Mods” Lucas in a North Carolina Federal Court and included Colton “Exentric” Conter as another defendant, a player that Lucas is known to team up with. The lawsuit accuses the two of copyright infringement with a copy of the lawsuit obtained by TorrentFreak detailing Epic Games’ perspective on the lawsuit. 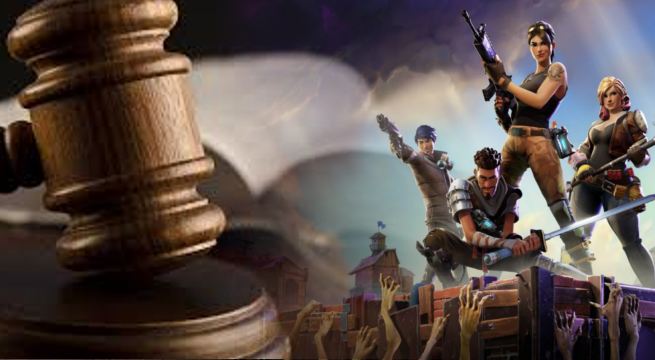 “This is a copyright infringement, breach of contract, and tortious interference case in which the Defendants are infringing Epic’s copyrights by injecting unauthorized cheat software (‘cheats’ or ‘hacks’) into the copyright protected code of Epic’s popular video game Fortnite,” Epic Games said in the lawsuit. Along with Lucas being accused of using these mods and hacks to affect Fortnite matches, Epic Games also accuses him of selling these types of cheats to other players. Hosting these cheats on another site called goldengodz.com, a site that’s still up at the time of publication, there are several packages for different games including the console and PC versions of Grand Theft Auto V and the PC version of Fortnite. 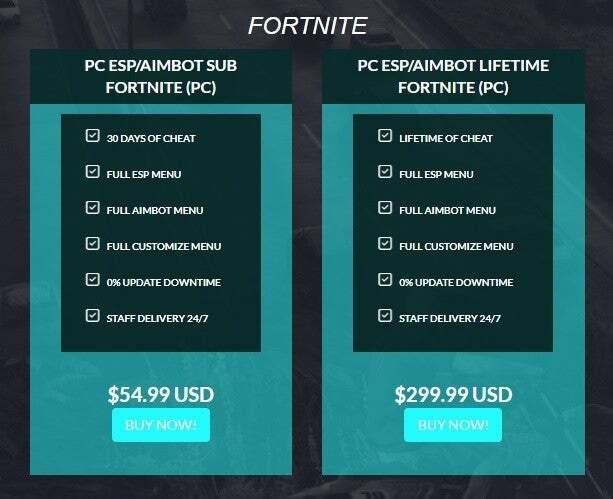 Mod packages vary in price with the lowest cost being $54.99 for a set of Fortnite cheats and the most expensive being $339.99 for Grand Theft Auto V cheats. Epic Games’ lawsuit against Lucas isn’t the first legal complaint from the company that’s made headlines with the Fortnite creators taking action against others in the past. One of the most notable cases was a lawsuit against a 14-year-old player who stood accused of using third-party software to cheat in Fortnite. A leaker who revealed sensitive information about the happenings of Fortnite Season 4 prior to the season going live was also sued by Epic Games who said that the leaker violated an NDA. The full lawsuit against Lucas can be read here courtesy of TorrentFreak.